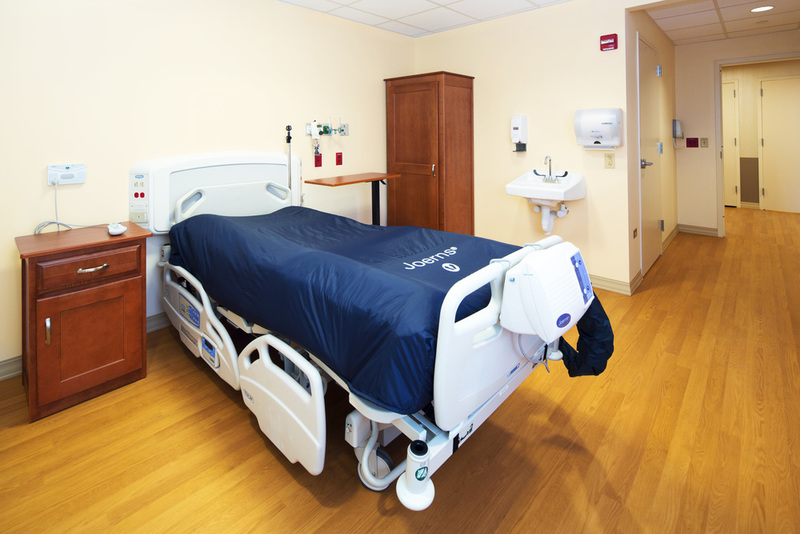 This project consisted of renovating an existing Long Term Acute Care Unit. This included 25 beds, with each resident room consisting of a private bathroom and wardrobe dresser. Staff support areas include DON Office, two Manager's Offices, Soiled and Clean Rooms, Business Office, Treatment Room, Assisted Bathing Area, Nourishment Station, Employee Lounge, Medication Room, Multipurpose Room/Visitor Lounge, and Supply Storage Rooms.